Mill Power Inc. is the industry leader in vibratory equipment manufacturing. 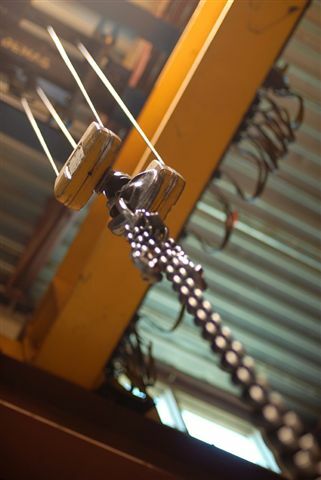 Our mission is to provide rugged and reliable vibratory equipment that withstands the test of time. With decades of experience, Mill Power combines intelligent design, conservative engineering and specialized manufacturing techniques to bring you the toughest, most dependable equipment on the market, customized specifically for your application. As the premier provider of vibratory equipment, our machines are built to standards the competition just can’t replicate. We don’t design one-size-fits-all solutions. We design, engineer and build the right equipment for your specific needs. Our commitment to excellence demands that we adhere to rigid control standards – allowing us to provide practical solutions and quality equipment. With thousands of units in the field, our equipment speaks for itself. We encourage you to compare our equipment to anyone. Mill Power combines the fundamentals of natural frequency with highly specialized engineering to provide efficient and straightforward solutions to your toughest applications. We pride ourselves on our industry leading reputation of reliability and dependability, building vibratory equipment for industrial organizations, large and small, throughout the Unites States and around the world. Mill Power combines intelligent design and conservative engineering with specialized manufacturing techniques to bring you the most reliable, heavy-duty equipment on the market, customized for your application. Our uncompromising commitment to quality ensures that we provide the most rugged and reliable machines on the market, built to withstand both the toughest applications and the tests of time. Over 22 years ago, we bought our first Mill Power unit. Today, with 20 units in operation, we couldn’t imagine our foundry without them! Truly, the most reliable equipment we own. We have been doing business with Mill Power for over 15 years. The sales organization and leadership group are very professional and quick to address any of our project needs. Their engineering & design groups are extremely efficient and detailed. We have had great success working with this group directly and having them work with other key suppliers. Finally, their equipment is top notch, this robust equipment made for heavy industry performs reliably day in and day out. I have done business with Mill power for over 30 years. 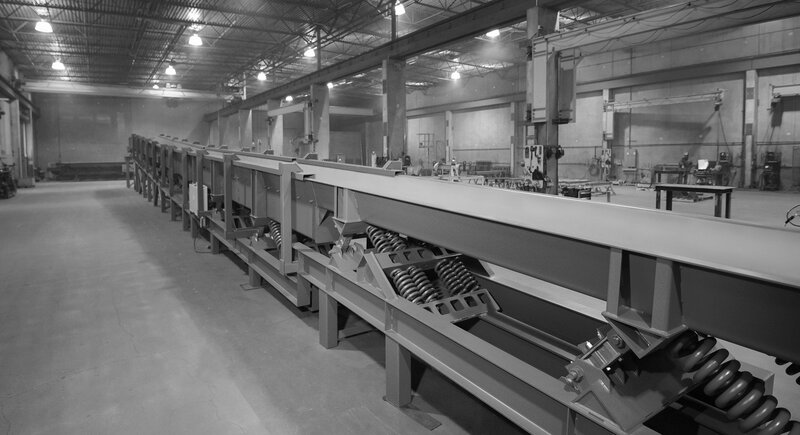 They manufacture robust and quality conveyors that hold up over time. 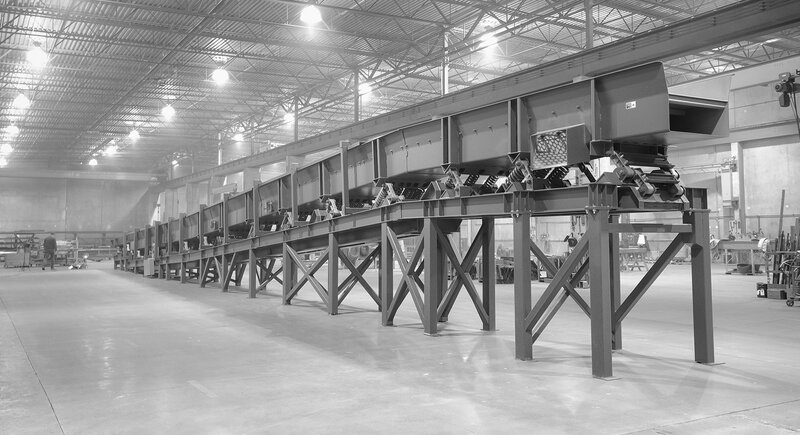 We are still running many of the first conveyors I bought from them. There has never been any issue they did not properly address in a timely manner. I would put them on my list of vendors I respect and enjoy doing business with. 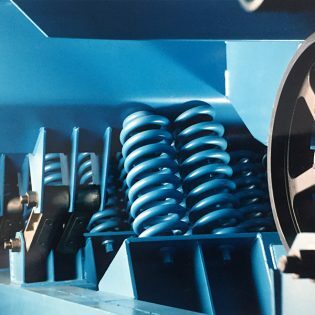 Mill Power has supplied solutions for unique and difficult applications with equipment that has provided our company with years of trouble free service. Chipper infeed and bark conveyors, sawdust shakeout screens, log-yard cleanup systems and brute force and two-mass feeders are installed in mills across the country and around the world. Process tires and rubber of all sizes with our rugged finger screens, wire-rubber separators, magnetic separators, feeders and conveyors. From crumb rubber, to mulch, to TDF, Mill Power equipment has the solution. Heavy-duty screens, air density separators, feeders and more for mechanical sizing and sorting of your most challenging waste stream materials. Size, sort and separate recyclables efficiently with vibratory conveyors, screens and feeders. Mold dump conveyors, indexing scrap charge feeders, transfer conveyors, casting accumulating and cooling conveyors demonstrate proven reliability in the extreme environments of foundries. Mill Power equipment can be found throughout the United States around the world. Our conveyors, screens and feeders are in operation in over fifteen countries on five continents. Highly specialized conveyors, screens and feeders handle your toughest tire derived material challenges. Our equipment is used in primary and secondary shredding systems, crumb rubber, wire free, mulch and tire derived fuel applications. From our “Go-Get-Em” wire reclaim system to simple feeders, Mill Power equipment can be customized with stainless steel pans to accommodate overhead or in-line magnets, replaceable and abrasion resistant wear liners, and low maintenance screen decks that prevent blinding and buildup. Mill Power equipment is used in applications throughout the world to process tire shreds, chips, crumb, steel, fines and fiber. 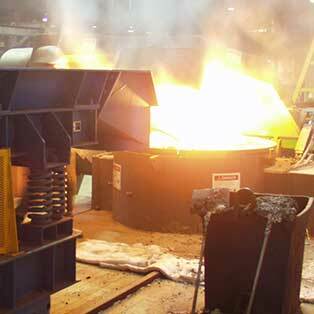 We manufacture durable and dependable equipment to survive the extreme conditions of foundries. Mill Power foundry conveyors offer full length, abrasion resistant, hardened steel wear liners, custom pan designs, installation on wheeled trolleys and perforated plate sections for a number of applications such as removal of casting sand. Extra heavy duty pans and oversized components ensure high temperature resistance and reliability in the harshest of conditions. 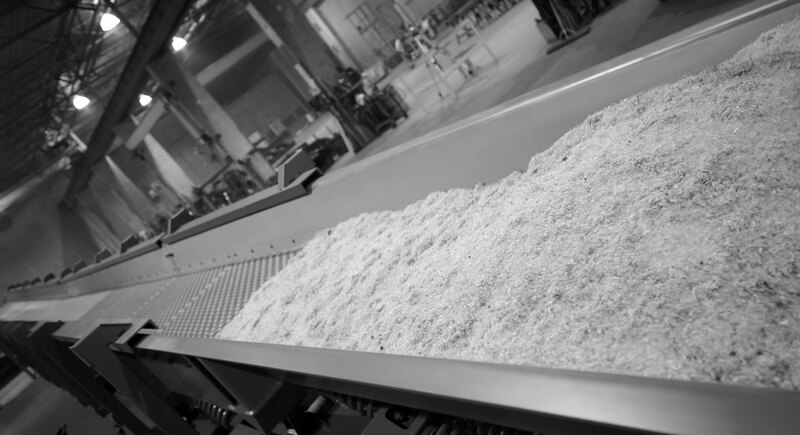 Mill Power provides foundry solutions including quenching conveyors, charge feeders, mold dump conveyors, transfer conveyors, shakeouts, sand reclaim units and screeners. Sort, screen, classify and separate single stream and mixed waste recyclables efficiently with vibratory equipment. 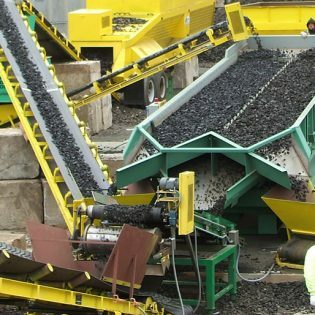 We offer finger screens, sorting conveyors, feeders, air density separators, wire-rubber separators, and magnetic separators for numerous segments of the recycling industry. 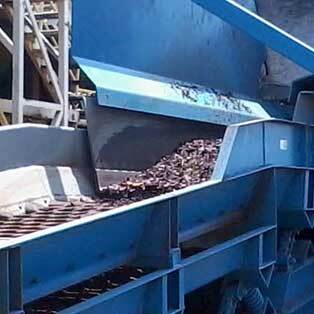 Our recycling equipment can include custom finger screen decks for sizing and sorting waste stream material, as well as unique waterfall or stair-step designs to ensure proper stratification of material for effective sorting. Adjustable drop out sections for use with overhead magnets, and air fluidizers for agitation of very small or lightweight material and full-length stainless steel wear liners provide additional options to maximize the life of the equipment. Mill Power Inc. has been building vibratory equipment since it was founded in 1968 in Portland, Oregon. With 50+ years of experience under our belts, our equipment solutions are better than ever and trusted in facilities throughout the world. Mill Power is proud to be the industry’s premier vibrating equipment manufacturer.